Position: Vh.2-ACAD (4) UDC: 949.8"12/15"
2. 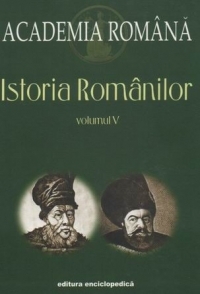 Academia Româna, Sectia de Stiinte Istorice si Arheologie; Adaniloaie, Nichita; Berindei, Dan; Bocsan, Nicolae; Gyémánt, Ladislau; Iacobescu, Mihai; Maior, Liviu; Porteanu, Alexandru; Platon, Gheorghe; Retegan, Simion; Zbuchea, Gh. Position: Vh.2-ACAD (7.1) UDC: 949.8"1821/1878"
Position: Vh.2-ACAD (5) UDC: 949.8"1601/1716"
Position: Vh.2-ACAD (6) UDC: 949.8"17"
Topics (en): history of Romania - travelling accounts - 19th c; Romanian countries - the foreign travellers - 19th c.
Topics (en): history of Romania - travelling accounts - 19th c.; Romanian countries - the foreign travellers - 19th c.
Universitatea "Al. I. Cuza", 1988, Iasi , (carte) xvi, 456p. Topics (en): political history - democracy - Romania - 19th c.; democracy and modernity - political thought - Romanian Principalities - 19th c.